Want to Help Shape Future Government Affairs Programming? How is it already August? Summer has flown by – seemingly faster than ever. I hope you’ve been able to enjoy the summer, between the raindrops and humid days. I appreciate everyone who took time to complete the annual member survey. Our Programming Committee spent time reviewing all of the questions and made some changes which resulted in a shorter, easier to complete survey. We had increased participation this year and appreciate everyone who took time to fill it out. Each year it provides valuable information to our board and committees and we use that information when planning our current and future years for our programming and strategic focus areas. We also randomly select 5 participants to receive a $25 gift card – congrats to this year’s winners: Lisa Adkins, Carla Anderson, Dotty Conover, Janet Nodorft and Michelle Kraemer. 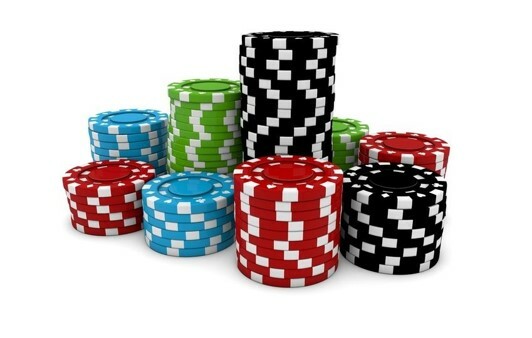 August 17 – Casino Night at the Brink Lounge! This is our semi-annual networking event and will include plenty of “free money” to gamble with (and table hosts to teach you how to play! ), a drink ticket and food, networking, and prizes. And new this year, we’ll be recognizing some of our volunteers and members with awards, which will be announced at the event! September 19 – our next PDS will be at the Alliant Energy Center. We have two great topics – “Wellness programs - How to create one that works” and “Why We Need to Talk about Mental Illness in the Workplace”. Registration will be opening soon – be sure to sign up! Ongoing - HR Resource Groups are monthly, informal, peer-led discussions where members come together to address and discuss their emerging HR challenges, in an open forum, sharing information, seeking advice, and providing support and tangible resources to one another by exploring best practices. Visit our website to RSVP for a meeting near you! If you’ve thought about getting more involved in our chapter, now is a great time to do so! Please reach out to Ben Lodahl, Director of Volunteer Engagement, if you’re interested in learning more! There are opportunities for everyone of all levels and all time commitments – our chapter runs on volunteers and we are always recruiting for more! I look forward to seeing you at an upcoming event and hope you enjoy the reminder of your summer! Representative Mimi Walters (R-CA-45) is expected to introduce legislation in the US House of Representatives this summer which would provide employers with voluntary expanded paid leave and workplace flexibilities to extend to their employees. 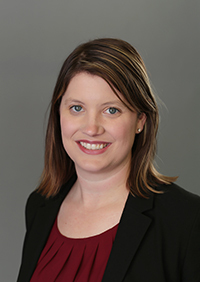 The proposed legislation has been developed in conjunction with SHRM over the past year. Employers that choose to participate by offering a minimum threshold of paid leave and a flexible work option to all employees will automatically satisfy all state and local paid leave requirements. 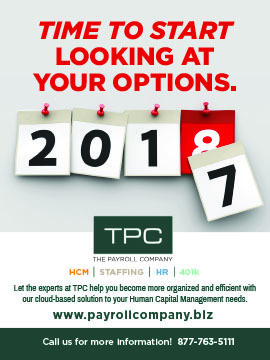 Provides participating employers flexibility and predictability in designing their workplace flexibility offerings, rather than having to adhere to various state and local government mandates. Rep. Walters and SHRM believe that this legislation is needed for employers as a number of states and local municipalities have passed law to mandate paid sick leave. This becomes an administrative challenge for those employers that have workers in various locations across the county. Paid Leave – number of actual paid leave days would be scaled to the size of the employer and an eligible employee’s tenure with the employer. Flexible Work Arrangement – at least one flexible work arrangement would need to be offered to each eligible employee. Would allow employers to allow paid leave amounts to be carried over or cashed-out by employees but would not be required to do so. Additional information about the proposed legislation will be provided as soon as it is available. For more information about this or other workplace flexibility initiatives, please visit www.shrm.org. Are you interested in providing input to several future government affairs professional development events? If so, the GMA SHRM Government Affairs Committee would welcome your ideas for topics and speakers for two upcoming events. The GMA SHRM Government Affairs Committee will be providing topics and speakers for this PDS. We are hoping to secure our speakers by August. If you have any ideas for legislative, employment law, or government affairs topics, please provide your feedback to Jeff Palkowski at jcp@athletics.wisc.edu by July 15, 2017. Please save the dates for these two upcoming events. Information about both events will be posted in future newsletters as programming is finalized. Cultivating Cultures that Flourish was the theme of the 2017 National Wellness Institute’s conference recently held in St. Paul, MN. I felt like a kid on Christmas morning for the three days while I was there hearing phenomenal speakers that spoke on numerous wellness topics. My enthusiasm has been rekindled and I am excited to share with you my experiences. People attended from across the U.S. and from several countries which enriched the conversations, strengthened trust and respect, and enhanced friendships. There was an obvious commitment to make a real difference in wellness whether it was for the public or private workplace, within the community, for big or small companies, or for profit or nonprofit agencies or businesses. Several themes emerged from the three-day conference including culture, using a holistic approach and mindfulness. The first theme centered around having a wellness culture with organizations. Healthy, thriving cultures are critical in today’s highly competitive market of which there are many reasons. Two reasons that organizations embellish wellness is to remain in business, and to recruit and retain talent. Now many people want and expect to work somewhere that embraces a wellness culture and they specifically look for one when job searching. Approaches about how to design, develop, and implement a wellness culture are custom tailored according to the organization’s needs. Unique strategies will meet employees’ needs and vary according to the industry, size, location, and many other factors. Employees, partners, vendors, suppliers and others all impact the culture. A healthy culture must have the commitment from leadership including managers, and supervisors but it is also necessary to have engaged employees. Since up to 90% of ongoing costs are related to the employees, having a wellness culture will enhance happiness, life satisfaction, meaningful work, and serving a purpose. Another theme that emerged is using a holistic wellness model and moving from one that is more traditional to including even more aspects of wellbeing. Holistic wellness initiatives are primarily directed at improving overall wellbeing of employees but are also aimed at controlling health care related costs as a secondary outcome. Traditional models include physical, emotional, social, spiritual, occupational, financial, intellectual and/or mental. Many models include different variations. New and innovative approaches are added to expand wellness and may include habits such as forgiveness, quieting your mind, gratitude and laughing. By expanding the model, it provides a sense of direction about how to have a culture of wellness that focuses on the whole person, improves the community, and serves society. Multicultural aspects are becoming more popular and include value based cultures and worksite diversity. Finally, mindfulness is another very common practice being done in organizations. 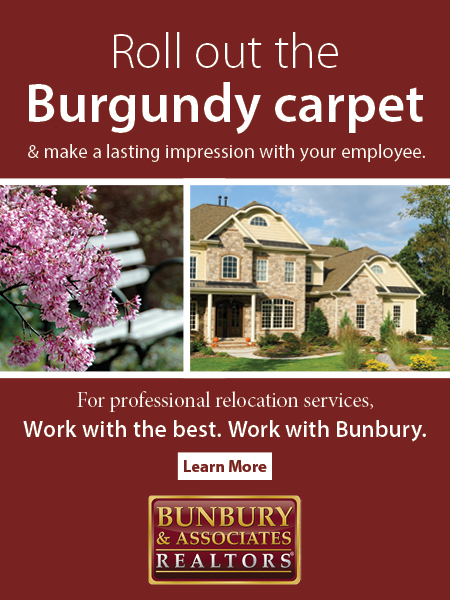 This is an easy way to improve employee satisfaction, and it enhance productivity and morale. Mindfulness can be as simple as slow, deep breathing while closing your eyes and can be done at a desk, workstation, or at other locations throughout the day. Sometimes organizations are providing spaces that are often enclosed to provide privacy, comfort and a quiet space to practice mindfulness to get away from the rat race. By offering a space, people get away from job stress, pressures and the high demands of work and can better focus and feel refreshed after practicing mindfulness for only a few minutes. When using these simple breathing techniques, employees are likely to experience less stress such as before, during or after a meeting, when colleagues are disagreeing, or when there is stress from other life events. In conclusion, wellness is not going away and we simply cannot ignore it. Organizations that embrace wellness do better than those that don’t and research proves this. Whether an organization is just getting started, improving upon what they currently have, or has a robust wellness culture, only positive, good things can happen. Amy, by any standard, was a model employee. She worked hard and was a perfectionist in completing her job assignments. She was a great team worker and was loved by others in her department. Her supervisor thought she had great potential for advancement within the organization. Amy had one problem, however. She was living with severe depression and anxiety that resulted in an increasing abuse of alcohol. This caused her to miss work for several days at a time. After each occurrence Amy would have a plausible excuse for missing work. Amy’s supervisor was reluctant to talk with her about how much work she was missing. She thought if she was kind and patient with Amy she would eventually work through her issues. The last thing she wanted was a reprimand on Amy’s record. Unfortunately Amy’s condition spiraled out of control and after a weekend of binge drinking she was found unresponsive and taken to the hospital with a lethal level of alcohol in her system. You can plan to attend for the same amazing benefits. Register early for the best rate! Registration is open now! The Dane County Regional Job Fair is fast approaching! Workforce Readiness is a perfect committee to partner with this event. As in the past we are looking for volunteers to join us in an assistance capacity before the job fair starts. As HR professionals this is a fun and engaging way to demonstrate your skills in resume revisions for those less experienced. How rewarding to have an opportunity to affect a resume for a jobseeker before it is submitted! We are looking for up to 18 volunteers across a two hour time slot (10a-12p), prior to the start of the fair on Wednesday August 16th at the Alliant Energy Center. 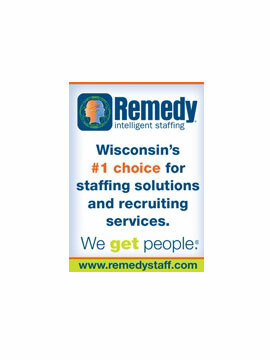 Click here to join us for the Dane County Job Fair. The Media Relations Committee (formerly Social Media & Technology) had their kickoff meeting for the new fiscal year, celebrating a new committee name, and the exciting things to come! Next step – grow the Media Relations Committee! Lay the foundation for the next step in your career? Add “volunteer experience” to your resume? MRC members dedicate as little as 30 minutes/month volunteering/attending committee activities – ALL from the comfort of your own home/office - contact brittanyh@seniorhelpers.com to learn more! Get Excited for CASINO NIGHT! It’s time to sign up for our summer networking event AND volunteer appreciation event this August 17th! We will be enjoying the evening with a casino night, door prizes, great food/drink, and great company! We have decided this year to combine our networking event with our volunteer appreciation event that we hold every year to thank all of those who have taken time out of their busy schedules to keep GMA SHRM running smoothly! We have so many volunteers and members who do countless tasks and have not had the opportunity to thank them as much as we should. GMA SHRM Rising Star award - This award will be given to a volunteer who has been volunteering less than 2 years with the chapter and has made a big impact on GMA SHRM. GMA SHRM Champion award - This award will be given to a volunteer who has been volunteering for 5+ years and is someone GMA SHRM has always been able to count on to help where needed. They are committed to the chapter and the greater Madison HR community. GMA SHRM Ambassador award - This award will be given to a volunteer or member who has been with GMA SHRM for 3+ years and has always spoken highly of GMA SHRM and is always advocating to the greater Madison Community about our chapter and what we offer.This event is open to all members and especially our volunteers. If you have volunteered this year, you will receive extra chips and drink tickets as a thank you for your dedication this past year. 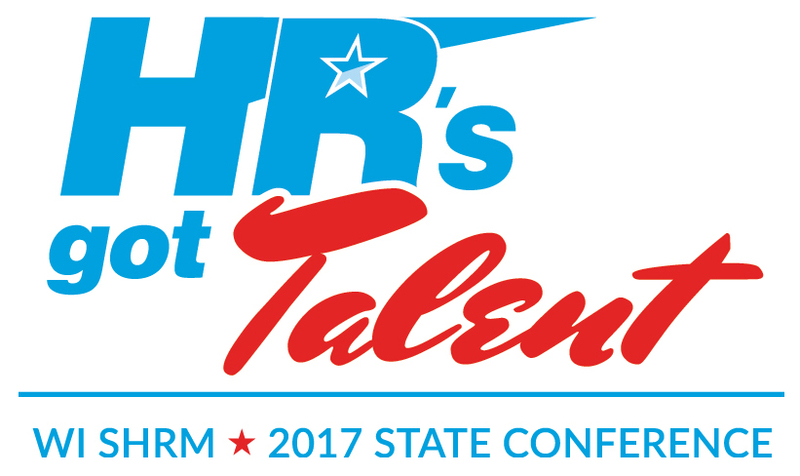 Both sessions have been approved for credit by SHRM and HRCI! Let’s say goodbye Volunteer Spotlight – and hello to the Committee Volunteer Highlights Section! The Committee Volunteer Highlights Section will showcase a different GMA SHRM committee each month – get the inside scoop on what each committee is all about – there are volunteer opportunities on every GMA SHRM committee. Check out this section each month to see which committee fits YOUR strengths and passions. Want to join a committee? The email for each Committee Director will be listed in this section – contact them directly – OR you can always email chapteradmin@gmashrm.org. ﻿GMA SHRM welcomes the following members who joined our chapter in June 2017! Kelley Martin Bell Laboratories, Inc.